If you follow my social media pages, you’ve likely seen me share videos that highlight the old school training approach of dominant athletes from the past. I’ve shared many examples over the years, but few attract as much attention as those of a young Mike Tyson. 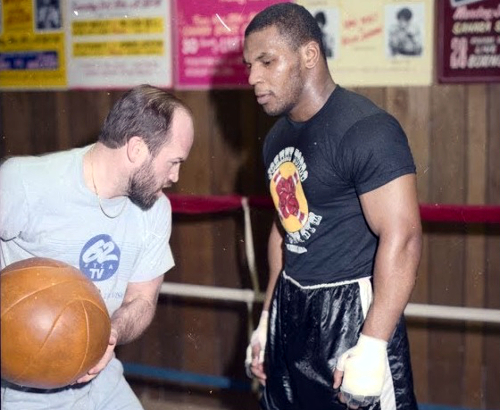 Under the tutelage of Cus D’Amato and Kevin Rooney, Mike Tyson became a 22-year-old world champion who was 35-0 with 31 knockouts. Unfortunately, Cus D’Amato passed away in 1985 and Kevin Rooney was fired in 1988 (under Don King’s influence). As a result, we will never know how good Mike Tyson could have been. What we do know however was that he was a dominant force in his short prime. And during that time, Mike Tyson was a product of the old school. His training approach was devoid of any fancy equipment or facilities.